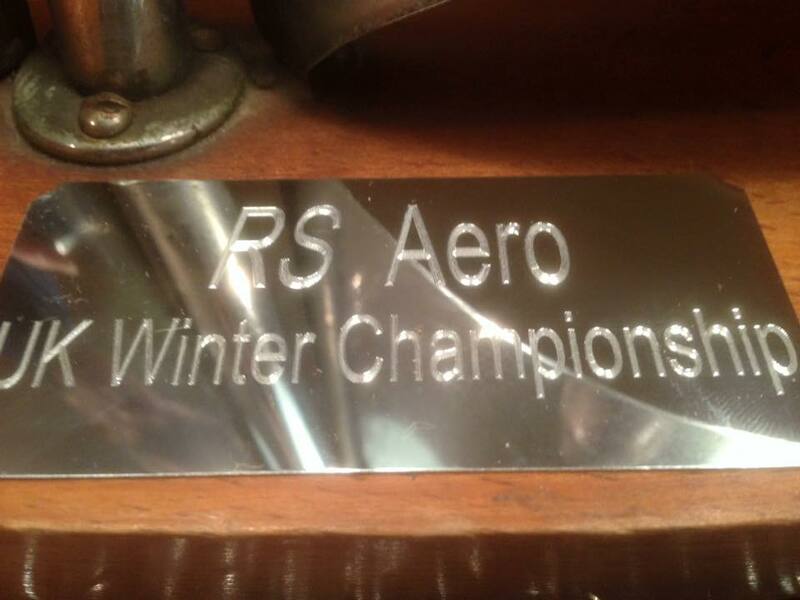 For the second year the RS Aero UK Winter Champs were hosted within The Oxford Blue event of the GJW Direct SailJuice Winter Series. 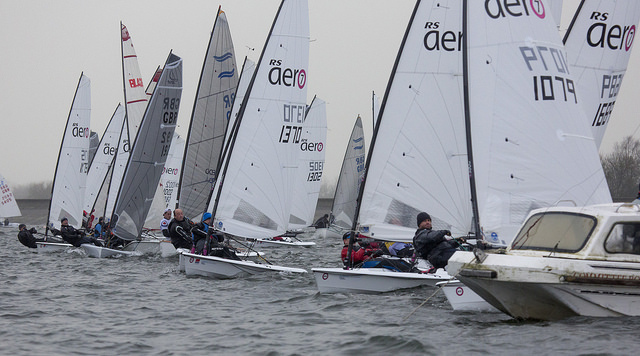 An impressive 27 RS Aero entries of the 147 in total braved the wet and windy January conditions for a fun day on the water. With a blustery start to the day most opted for the '7' rig, seven sailors went for the smaller '5' rig providing some great class racing within the main regatta. The RS Aero fleet included five Ladies and five Youths. Neville Herbert (Royal Lymington), Ben Paton (Lymington Town), Steve Norbury (Warsash), Matt Thursfield (Chelmarsh) and Peter Barton (Lymington Town) all had appearances near the front through the day, showing a weight range of 70kg to over 100kg to be competitive in the '7' rig! Will Taylor (Plymouth Uni/Brightlingsea) powered his RS Aero 5 up the windier first beats to chomp at the front runner's tails, leading most of the larger sailed boats from various classes. Good competitive racing was spread throughout the fleet. Notable battles were Peter Barton and Matt Thursfield swapping places no less than 7 times for the lead in race 2! Neville Herbert nailed the start to lead at mark 1 in the slightly lighter breeze of the final race - however Ben Paton was gathering momentum, showing he still has some of his Laser Radial World Champs winning form, to take the RS Aero lead and finish the race in 3rd overall out of the 147 entries. Will Taylor comfortably took the win in the '5's and birthday girl, Caitie Atkin, finishing 2nd '5' rig become both first Youth and first Lady. Race 3 saw a close tussle between the Ladies with just seven seconds splitting Caitie, Lucy and Emily. Good healthy family battles were rife with Emily Davis narrowly beating daughter Alice crewing an RS Feva, however Liam Willis was not so fortunate carelessly letting dad Keith beat him by a couple of places in his K1! From the 121 starters our lead RS Aero 7s were 11th, 14th and 17th and the first RS Aero 5 was 33rd. RS Aeros were spread throughout the results suggesting the Great Lakes PYs used for the SailJuice series to be about right relative to other classes. After last winter's cautious initial handicap numbers I think we can be pretty happy with 'about right'! What is quite interesting (and complementary to the Class) on analysis is that our lead sailors would have moved up the rankings had this series not had a discard and been all three races to count. This is likely due to the RS Aero's simplicity and reliability giving less likelihood of poor races due to handling, rigging or structural failures and that the design is not at an extreme end of the spectrum and able to perform in both the breezy and lighter conditions. Had the series been scored 3 out of 3 to count then the top two RS Aero 7s would each move up 5 places to 6th & 9th (from 11th & 14th) and the lead RS Aero 5 would move up to 22nd (from 33rd). The first two races were blustery, but still with marginal planning in the lulls on the reaches. We likely saw gusts into the 20+kns with lulls as low as about 12kn which provided an interesting challenge. If you were varying between being overpowered and slightly underpowered upwind you might have been moving your sail controls (mainly outhaul and downhaul) several times a beat as the gusts & lulls came through. The reaches were about getting the boat planning early and keeping it planning as hard and as long as possible. This involved some technique, powering up the sail controls and a weaving course - steering low in the gusts and high in the lulls. The final race was lighter with little planning and little liklehood of being overpowered. Maybe 10-12kn.